With Halloween only days away, I want to share a simple last minute way to participate in the Halloween festivities without dawning a full on costume. 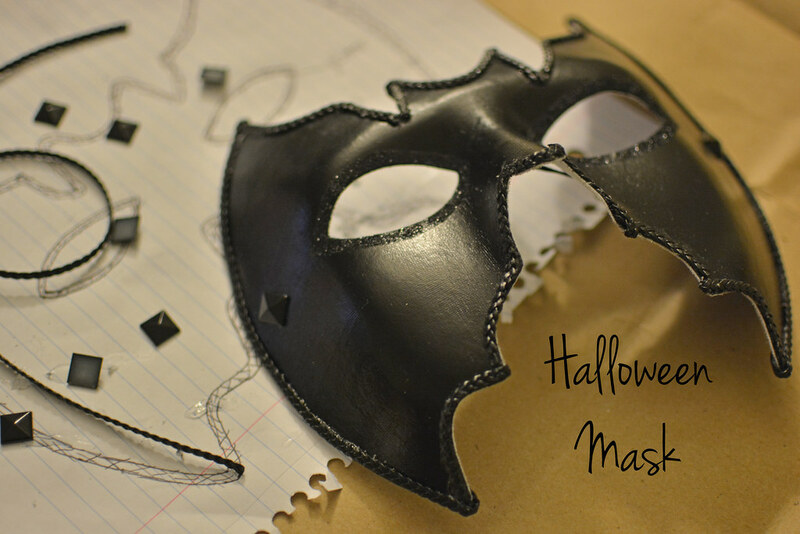 You can pick up a simple mask at any craft store and with a little time and some art supplies, you will have your own, personalized mask to wear for the holiday. 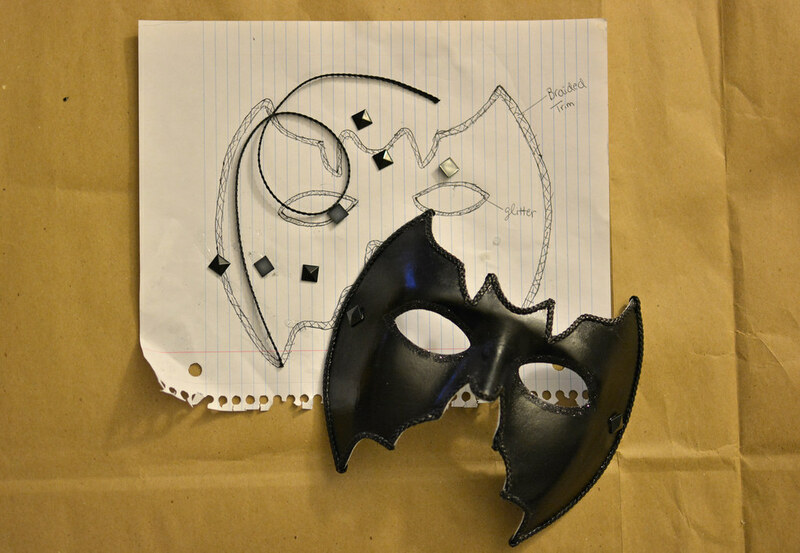 Check out below for how I decorated my mask. 1. 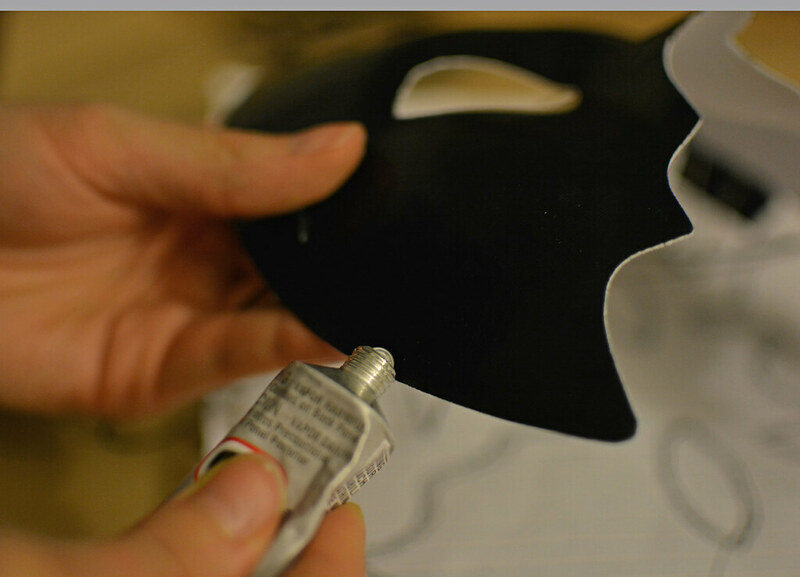 To start, apply a thin line of glue (here I used E6000) across the edge of the mask for applying the trim. 2. 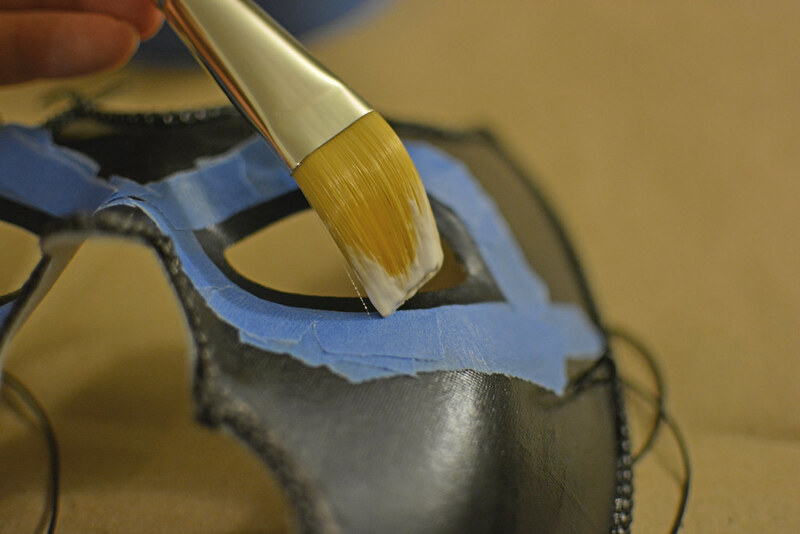 Once the glue is applied, add the trim to the edge of the mask. 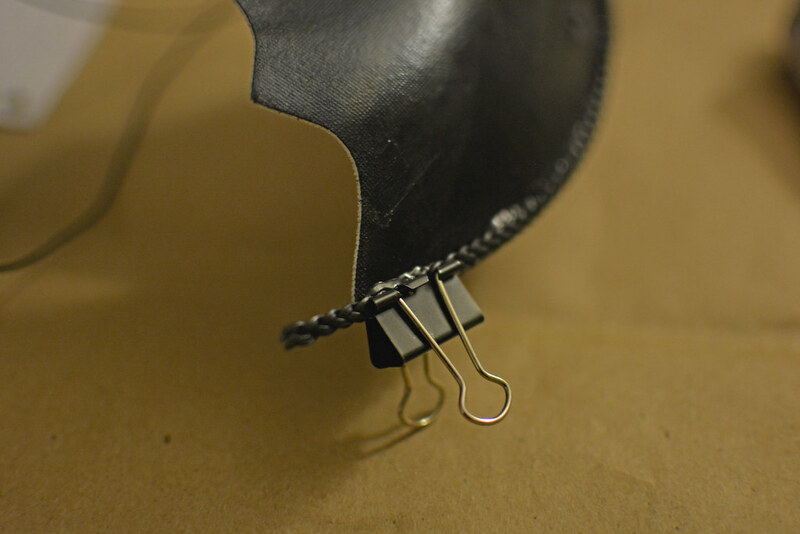 Then use a paperclip (or other type of clip) to hold the trim in place while it dries. 3. 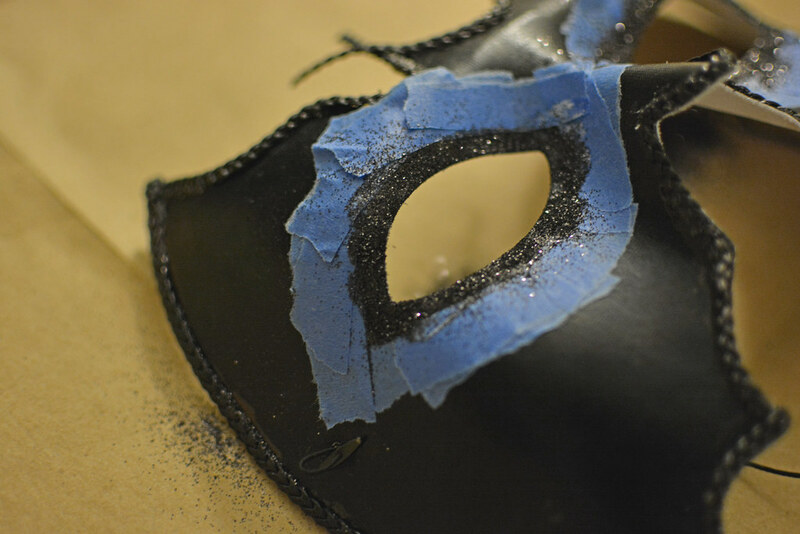 To apply a glitter border to the mask, tape around the area you wish to add the glitter. I chose to do a border around the eyes. Once taped off, apply glue to the area. I used Modge Podge for glue here. 4. 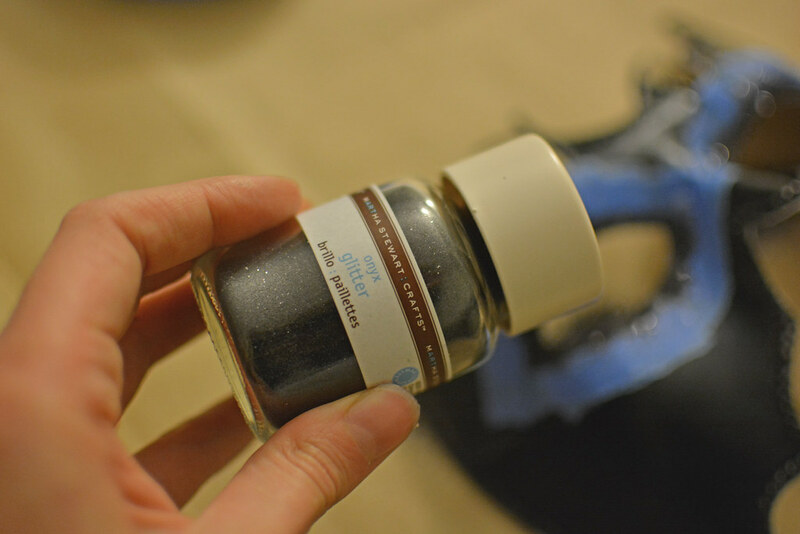 Once the glue is applied, sprinkle on the glitter and let it set for a couple minutes before removing the tape. 5. 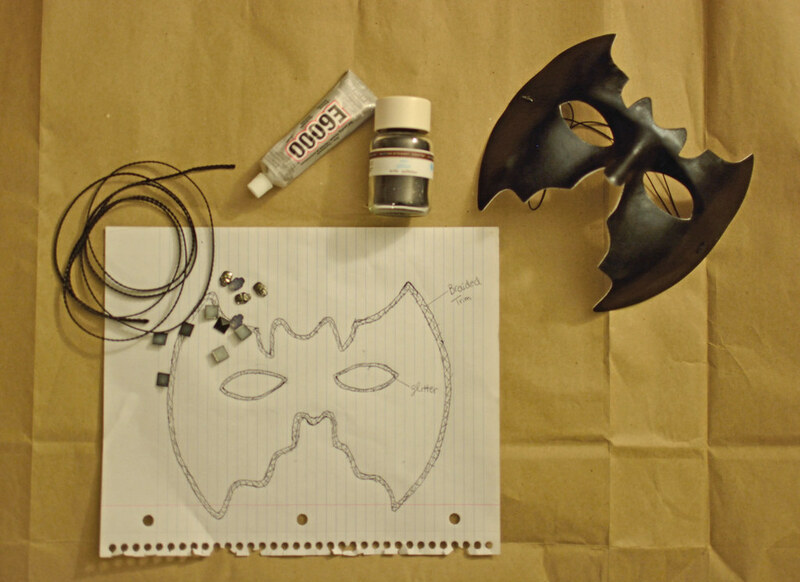 Add any other decorations using glue to the mask, I added some studs. 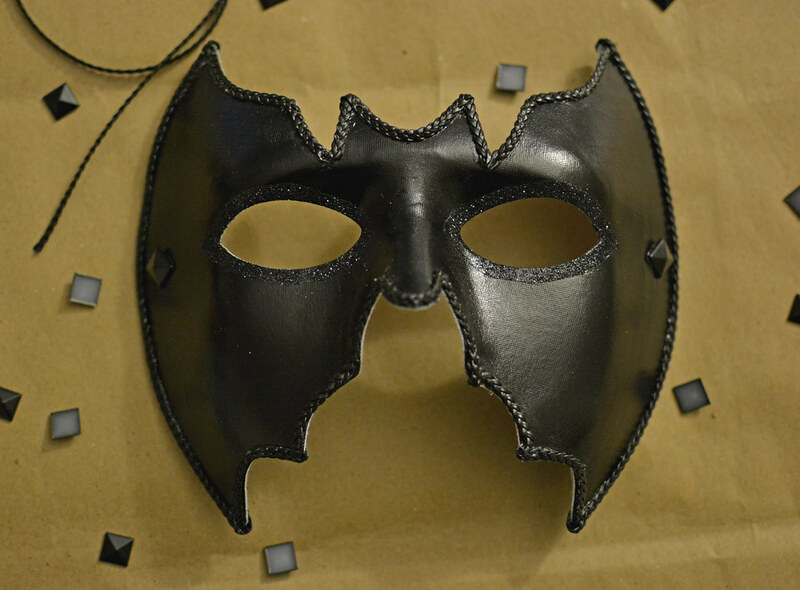 As a final step, I sprayed the mask with hairspray to give it a glossy finish and to keep the glitter in place. Oh what a great idea, it looks so professional! Amazing!! Thanks for sharing!! I hope you will visit my blog!